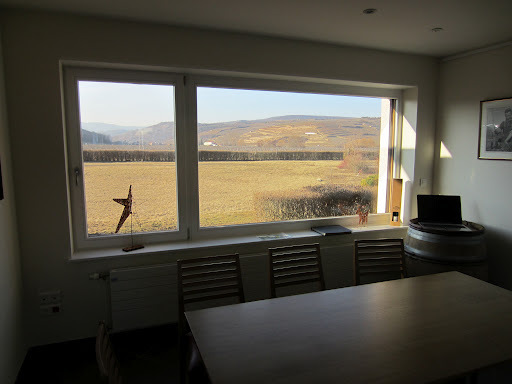 In 2010 the Alsace region was one of the five I visited whilst I travelled in France for three weeks, and was thus the second region that I would be returning to in Europe. Much like Champagne it is quite a different sight to see in winter compared to summer, but unlike Champagne has its own natural beauty not reliant on vines covered with leaves. 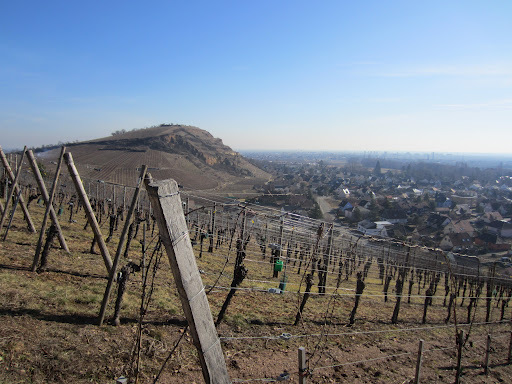 The region is as I remember it, and supported my comparison with the Pfalz region. It should be noted that Alsace is not Germany, nor is it really France. The people here are very relaxed and generous, and certainly more humble than their counterparts in other French wine regions. One similarity they have with their German neighbours is their focus on single varietal wines, and a lot of them. In my honest opinion there is not one outstanding variety like there is in the Pfalz, but three (riesling, pinot gris and gewürztraminer). Between the numerous varieties and the dry and sweet wines, along with the classifications of vineyards, each producer may have as many as 30 wines at any given time, which would suggest dilution and confusion. I think it is both fantastic for variety, and also challenging to be able to promote such varied styles. It just happened that the first winery I visited for the week was one I was returning to. Domaine Josmeyer in the village of Wintzenheim has been producing wine for over 150 years, and prior to this the family were wine merchants. Their reputation generally revolves around two things. The first is they are a certified biodynamic producer, receiving certification in 2004. The second is for their very steely and crisp white wines, not so common in this region. 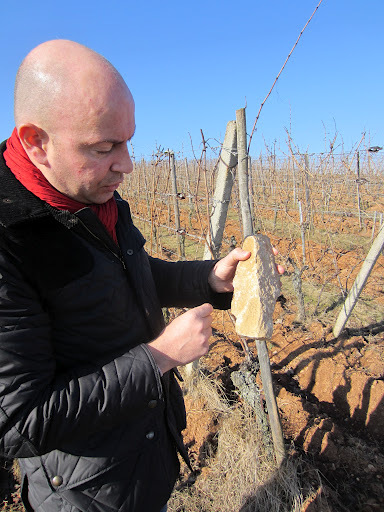 Having already seen the cellars the Managing Director Christophe Ehrhart very generously took me up into the vineyards above the village, to show the major differences not only in the soil differences, but also the impact that biodynamic viticulture has on the vines and soils. The winery only produces from estate grown fruit, and has plots in several grand cru vineyards including the Hengst vineyard which Christophe is the director of. Perhaps due to their relatively young age (many houses in the region are at least 400 years old), Josmeyer have a somewhat modern approach. Of course the focus is on variety and translation of terroir in the wines, but the labelling of the wines has a very modern art feel, and serves to distinguish them from the more traditional and classic labels of the region. Here are my notes on some of the wines tasted. 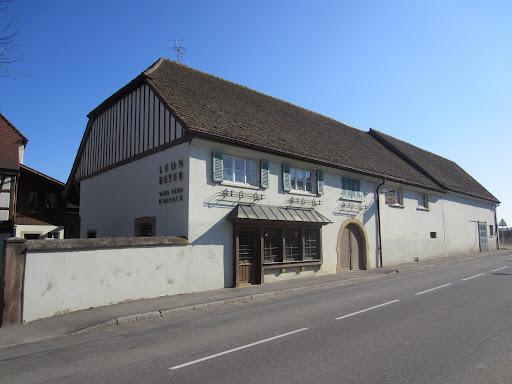 The Beyer has been involved with wine in Eguisheim since 1580, but it wasn’t until 1867 that the winemaking domaine was founded by Emile Beyer. The house has been passed down through the generations to its current owner, Leon Beyer II, who runs it with his son Marc. Leon Beyer wines today grace the wine lists of almost every three-star Michelin restaurant in France, and exports about 70% of its total production. The estate vineyards cover a total of 20 hectares with the balance of fruit coming from loyal growers in the area. Wines are produced and matured in historic cellars, some of which are located under the vineyards themselves. In the past these cellars were used for storing large blocks of ice after winter thanks to their cold temperatures, and also for cultivating mushrooms. Wines are vinified in a very traditional method using gentle presses and fermentations in very old foudre barrels of 5,000 litres. This tradition carries through to the labels, which have barely changed in 50+ years. Click here to read about my thoughts on the wines. As 11th and 12th generation winegrowers Rene Mure and his children carry on a long tradition since 1648 in Rouffach in the south of Alsace. The future of the business was cemented in 1935 when Rene’s grandfather Alfred purchased the fabled Clos St Landelin vineyard of which they are the sole owners. This vineyard had been in the hands of the church for hundreds of years until the French Revolution was separated amongst a number of owners, before falling under German ownership until the end of WWI. The vineyard covers 37.5 acres and is situated at the southern end of the Grand Cru Vorbourg. The classic Alsatian soil composition of clay and limestone and the south-facing terraced slopes make this vineyard quite exceptional for producing ripe yet mineralic wines. Fermentations are performed using indigenous yeasts at low temperatures, and the wine is left on the lees to provide stability and texture to the wine. Like many of their colleagues they produce dry and sweet wines from many varieties, but also produce a range of marcs. Click here to read my impressions of the wines tasted. Click here to see more photos from Day One of Alsace, France.